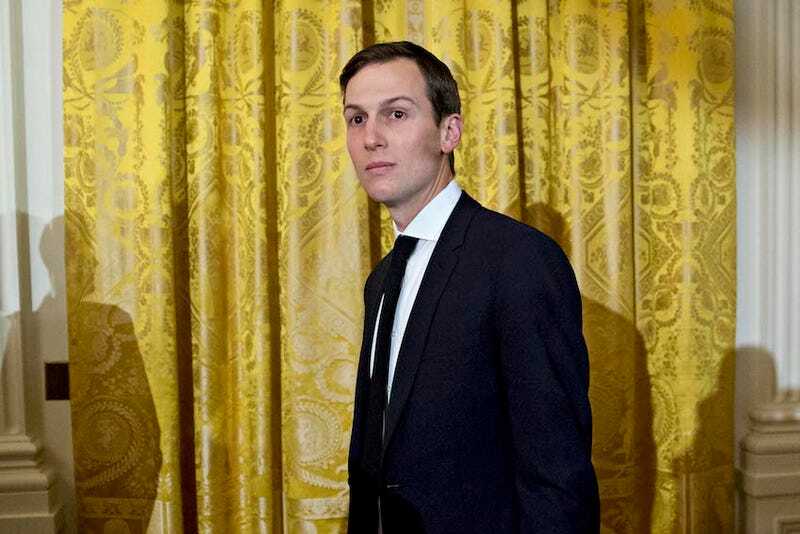 Jared Kushner, the slimy little weasel currently embroiled in a dudefight with the porcine and inflamed Stephen Bannon, reportedly withheld dozens of meetings and contacts with Russian officials when he applied for the top-secret security clearance that he so greatly desires. The New York Times reports that when applying for this security clearance, Kushner was required to disclose any and all contacts with foreign governments—the omission of which his lawyer is referring to as a “mistake.” Some of these meetings include one in December with Russian ambassador Sergey Kislyak as well as a meeting with Sergey N. Gorkov, a head of Russian-state owned Vnesheconombank who also happens to be a graduate of Russia’s spy school. Kushner’s lawyer says that the form was submitted inadvertently on January 18 and that he notified the F.B.I the next day that he’d be providing “supplemental information.” Almost three months later, Kushner is still preparing that information and has decided to share it with the F.B.I. when he speaks to investigators working on untangling the matted, greasy ball of yarn that is the question of Russian involvement in the election. At one of Kushner’s meetings with Kislyak, former national security adviser Michael Flynn —the man currently seeking immunity in exchange for testifying in the Trump-Russia investigation — was present. Interesting to note about Vnesheconombank is that they are currently the target of American sanctions and also have deep ties to Vladimir Putin —their funds have been tapped to bail out oligarchs Putin likes and also to fund the Sochi Olympics.
. The Times notes that some who hold the kind of security clearance that Kushner’s greasy little hands are seeking can amend forms and avoid punishments if the things they’ve left out are “oversights rather than deliberate falsifications.” Given the stinking, fetid pile of rotten fish that is currently in charge of this country, who can say if this whoopsie-daisy is deliberate or not? Until he supplies the supplemental information or until he speaks with the F.B.I., Kushner currently holds an interim security clearance.